OpenShift DIY cartridge is a great way to test unsupported languages on OpenShift. But it is not scalable (you can vote for Scalable DIY cartridge here) which makes it hard to use with production grade Spring Boot applications. 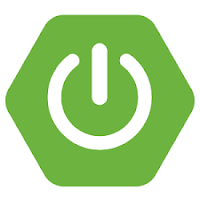 But what if we deployed Spring Boot application to WildFly Application Server? Spring Boot can run with embedded servlet container like Tomcat or much faster Undertow, but it also can be deployed to a standalone application server. This would mean that it can be also deployed to WildFly application server that is supported by OpenShift. Let’s see how easy is to get started with creating a Spring Boot application from scratch and deploy it to WildFly 8.2 on OpenShift. Note: While browsing OpenShift documentation one can think that on WildFly 8.1 and Java 7 is supported (as of time of writing this blog post). But this is fortunately not true anymore: WildFly 8.2 and Java 8 will work fine and it is default in fact!. This was the first time when I was happy about documentation being outdated. Before you can start building the application, you need to have an OpenShift free account and client tools (rhc) installed. When the application is created you should see username and password for an administration user created for you. Please store these credentials to be able to login to the WildFly administration console. OpenShift creates a template project. The project is a standard Maven project. You can browse through pom.xml and see that Java 8 is used by default for this project. In addition, there are two non standard folders created: deployments, that is used to put the resulting archive into, and .openshift with OpenShift specific files. Please note .opensift/config. This is the place where WildFly configuration is stored. Spring Data JPA, part of the larger Spring Data family, makes it easy to easily implement JPA based repositories. For those who are not familiar with the project please visit: http://projects.spring.io/spring-data-jpa/. With the domain model in place some test data can be handy. The easiest way is to provide a data.sql file with the SQL script to be executed on the application start-up. findAll method accepts optional lastName parameter that is bound to Java’s 8 java.util.Optional. It is just a static page, but I noticed that application will not start if there is not default mapping (/) or if returns code different than 200. Normally, there will be always a default mapping. management.context-path=/manage: actuator default management context path is /. This is changed to /manage, because OpenShift exposes /health endpoint itself that covers Actuator’s /health endpoint . spring.jpa.hibernate.ddl-auto=create-drop: create structure of the database based on the provided entities. Navigating to http://appname-yournamespace.rhcloud.com/people will return all records from the database. Please note maven.compiler.executable was removed. Don’t forget to change the @Controller’s code and make it Java 7 compatible. In this blog post you learned how to configure basic Spring Boot application and run it on OpenShift with WildfFly 8.2 and Java 8. OpenShift scales the application with the web proxy HAProxy. OpenShift takes care of automatically adding or removing copies of the application to serve requests as needed. https://github.com/kolorobot/openshift-wildfly-spring-boot - source code for this blog post. There is an error in the pom file. You have to remove the part about explicitly setting the maven.compiler.executable. Finally, after a lot of issues it works. So idf you want to deploy the appication on openshift and to be scalable do exactly what this tutorial said, and delete the maven.compiler.executable from pom.xml . But whenyou create the application, for me it only works with wildfly 8.2.1.Final. With other versions it didn't work for me. Thanks for this awesome tutorial :) !! !